HomeNewsJuniorJunior Group Mini Stay – Find out what makes BLS special! Junior Group Mini Stays at any time of year. BLS English welcomes both homestay or residential junior group mini stays at any time of the year. 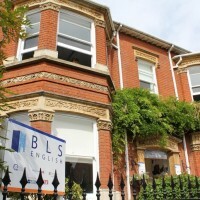 BLS English has both a junior and an adult centre and so has capacity to welcome mini stay groups year round. Recent groups as young as 10 years old are welcome. These groups in the low season will be studying as a closed group focusing on any particular syllabus that they desire whether this is a University of Cambridge English exam, tourism, cooking, art or a particular sport, YOU can choose at BLS! Our most interesting recent course has been a Harry Potter themed programme of lessons and excursions. The programme can be designed with as much or as little class room time as you prefer and from 4 nights to 4 weeks, again you choose! Explore a beautiful and historic small city that is safe and easy to get around on foot. No buses needed! Wander the ancient streets and visit the cathedral and world-famous Abbey Gardens! The most popular new course for mini stay in 2015 has been our English and Work Experience programme for 16+ age group. Our groups have been studying hard (either General English or University of Cambridge English) and then following this up with a work placement in a local Bury St Edmunds business. Our range of work and the friendliness of the local companies helps create a wonderful new option for BLS Mini Stay 2015. Email the office admissions team now to enquire about your ideas. We are here to help.